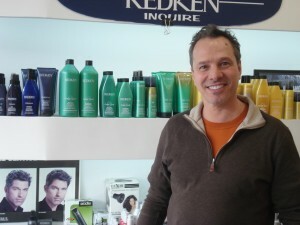 Frank Arcabascio owns Redken Saloon Salon, on 30th Ave between 36th and 37th Streets. “Saloon” is in the name because the color bottles at the back of the salon are stacked like drinks behind a bar. “I knew very young that I wanted to be a hairdresser,” says Frank. “I used to work at my cousins’ barbershop over near Our Lady of Mount Carmel church. It’s called Joseph’s Hair Place. It’s actually still there. I used to sweep the floor and clean up to make tips, I used to shine shoes. I knew early on the power of a good haircut. That salon was a very blue collar barbershop. You would see men walk in filthy dirty. Many of them construction workers. I’d wash their hair. Then from the neck up my cousins would transform those guys. Between trimming their moustache, their beards, their haircut. And they’d walk out looking amazing. The idea of transforming a person is so powerful. They’d come in looking oh, terrible and they’d walk out looking like Clark Gable sometimes. I like working on long hair. Now I can give people long hair. In the past you could only cut hair. That kind of transformed my career. About 10 years ago I took courses in Great Lengths Hair Extensions. We were one of the few businesses doing it. I didn’t realize it at the time, but we started getting outsourced by the salons that didn’t want to loose their clients, so we developed accounts for doing hair extensions. We have over 18 accounts now. You don’t just work on hair you work on a person. So it’s fun to ask a person what are the highlights of their hair, what they like, their best haircuts, their worst haircuts, what’s going to make them happy now. And achieving those things. I can see someone’s head of hair and you immediately see what you can do on it. But that’s what I want to do. Sometimes the person wants a fantasy idea that they don’t have the hair for. That’s where you learn diplomacy and tact. I’m in Manhattan now two days a week – four in Astoria and two in Manhattan. If I were in Manhattan only I’d go nuts, and likewise if I were in Astoria alone. I’d go nuts in Manhattan because they have a lot of money, they are very high-powered career people and are very demanding. That’s not the problem itself exactly, because I like clear parameters. But on 30th Ave in Astoria you’re considered an authority. It’s more of an even playing field. When you’re in the city you’re more of a service person, unless you’re in one of the top places. I think we’re all equal and we just choose to do different things. My own kids aren’t that interested in my business but my nieces do work here. I was brought up in Jackson Heights but now live in Long Island, and that’s where my kids grew up. So even though I grew up near here, started a business here and now work here 4 days a week, they didn’t grow up here. Two of them are going to college. They’re probably going to go into the corporate world and jump into Manhattan. But they want to live in Astoria. I own this building and they’re going to take the apartment upstairs. So they don’t want to work in Astoria, but they do want to live here. The thing that comes first into my mind when I think of 30th Ave is the salon, of course. But also the business community more broadly. The people. And the cafés. That’s the new thing. It’s a fun place to be. In ’93 when I opened the business here there were no cafés. There were a lot of delicatessens and dry cleaners. You know, just that’s the way New York was then. Recently I was in Central Park, on the West Side by Strawberry Fields. And we came out of the park and wanted to find a café to sit down and eat outside. We didn’t find any. I started to realize. I thought since when does 30th Avenue beat Columbus Avenue, or Amsterdam Avenue? I want people to be proud of how many nice things we have and how down to earth it still is. If you cannot afford to live in Manhattan you eventually find your way to Astoria. That’s the life of the neighborhood, it’s the young people. It’s always been this way. People think oh, all of a sudden people from Manhattan are starting to live in Astoria. I’ve been working round here since 1971. There were always people living here who couldn’t afford Manhattan. Actors, actresses, artists. Now it’s just become a little more commercial with the cafés. A place where someone from Manhattan might come and visit and hang out. Years ago it was only people living here, who went to work in the city. There have been previous incarnations of the 30th Avenue Business Association but the current one started in 1999. The way it started was we wanted to have holiday lighting in the streets. Everybody was asked to chip in, but not everybody would contribute. So we organized a street festival. Everyone who sponsors the festival pays around $6-7000, and we use that money for the holiday lights. I am currently president of the association, and was also its president from 2002-4. At that time I called up Barnes & Nobel and asked them about putting one up here on 30th Avenue. They said they can’t. The stores are too small. They need 10,000 square feet. Two thousand, which is the largest size along here – many of them are 400 or 500 square feet – most mom and pop stores and family businesses operate in that space range. The franchises want a much larger space range. So in many ways it’s the size of the stores that will ‘save’ the street, if you will. 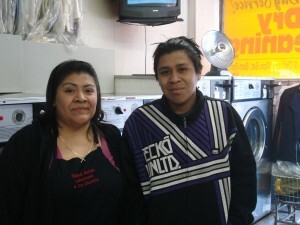 I spoke with Martha Heredia and her nephew Elvis Raymundo in Grand Avenue Laundromat. Martha works there. Elvis had dropped in to see his aunt on his way to play football nearby. I came here from Mexico in 1990. For 15 years I worked in clothing factories – six years in Manhattan and nine near Queensboro Plaza. The factory owners were Korean but they spoke Spanish perfectly. That’s why I’ve never learned English. [We had this conversation in Spanish]. Then the one for whom I had been working for nine years got tired of living and working here. He sold the factory and went back to his country. The work changed and I didn’t like what they did so I left. I had a baby girl and took a bit of time out. Then I got work in a laundromat, where I was trained on the job. It was a big laundromat, and good work, but I didn’t like the way the managers were. That was when I thought of asking in here for work, in Grand Avenue Laundromat. I had moved to the neighborhood when I got married, after spending three years living in Manhattan. I lived for a bit on Crescent Street but the apartment there was very small. Then I found my current apartment on 35th Street that I love. I’ve been there 18 years now. So I had always come here to wash my clothes but till then it hadn’t occurred to me to ask. I got the job, and now I work five minutes from my home. I have a sister who lives in Mexico but my other four siblings and my parents all live here. I’ve only been back to Mexico twice in 21 years. There’s no need because practically all my family is here. I live on 36th Street. I’ve got two more years to go in high school and then plan to go to culinary college. I’d like to be a chef. Not necessarily have my own restaurant, it’s hard to manage a restaurant. To be a chef. My favorite food to cook is Mexican and Italian. This is a peaceful neighborhood. There are no problems except sometimes when people from other parts come through, that’s all. Generally it’s peaceful. There weren’t so many businesses here 18 years ago. The cafés and things are recent. It’s nice during the summer when the street is full of people. And in the night time you don’t have to worry about things. We close at midnight and there are still businesses open, people in the street. When my girl was small we would walk out here late at night (we slept late in the mornings, so she’d be up late), and she loved it. Everyone knows her round here. We know the business owners and the workers alike. Some of the young people come here to live while they study and then they leave. But most of the people in the neighborhood I have known for years and years. Giuseppe came up with a fabulous first word, “devoted”. But I didn’t continue the thread with a follow-up question. “Why devoted?” “Devoted to what?” etc. Now I am glad that the word devoted stands on its own, un-elaborated and unqualified. The rest of the interviews on the website will fill out the answer by themselves. They are already doing so. Giuseppe’s other two phrases were “close-knit” and “arts-oriented”. At first I was surprised that he didn’t mention Astoria’s ethnic diversity. Of course one of the most interesting things is that he didn’t mention diversity. Astoria may be among the most ethnically-diverse neighborhoods in the world but that is not first and foremost in the minds of many people who live here. It’s so much part of the fabric of the streets that people take it as a given or, as Teofila Cambeiro said, “feel like I am all nationalities.” Many people are a mix of several ethnicities and feel American above anything else. Or for some others, their own immediate community is so extensive and yet close-knit that there isn’t a need (or time) to explore beyond it other than for interactions in the shops and on the sidewalks. There are also so many different types of diversity at play. That is what makes the neighborhood work well as a whole. There is, at the moment, diversity of age, of income, of profession, of interests. Long may it stay that way. She teaches students from all over, drawn to New York as a musical center-of-the universe – though the tough reality of how few get anywhere near to realizing their dreams is drummed into them from day one at college, she says. Last year her students included people from Colombia, Ireland, Israel, Norway and Peru. Listen to Heather singing Tess’s Lament by Matthew Harris, with Astoria Symphony. The performance was at St Joseph’s Church on 30th Ave, Dec 18, 2011. The conductor was Adam Eggleston. “We have one participant of 92, another of 93,” says Olga Oukacine, Director of the Astoria branch of the Spanish Speaking Elderly Council-RAICES, on 30th Drive. Up to eighty participants attend the center each day, though some have found it harder to make it recently because of the cold weather. “We have people from Dominican Republic , Ecuador, Colombia, Peru, Bolivia, El Salvador,” says Olga, who herself is from Santo Domingo in the Dominican Republic. The council is funded by the NYC Department for the Aging. 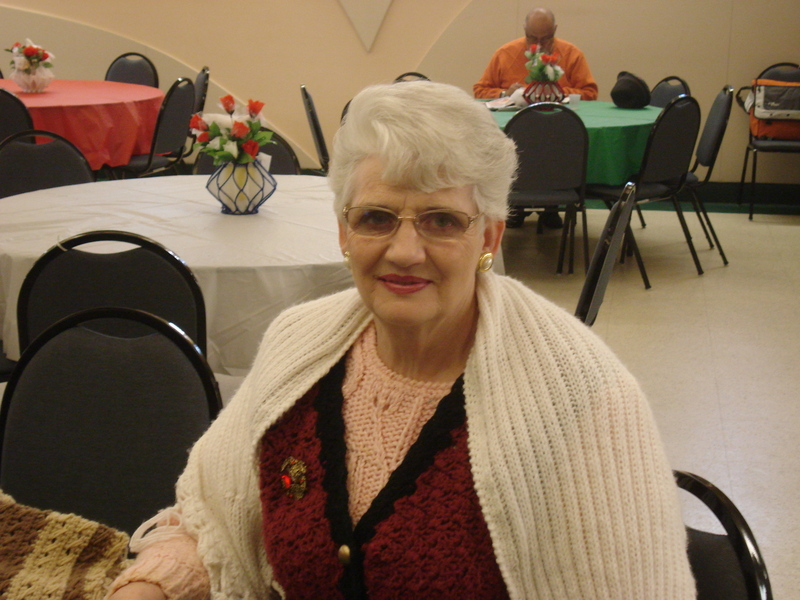 It provides advice on immigration, English classes, health check-ups, and activities like bingo and zumba exercise. The council throws monthly parties for everyone who has had a birthday that month. But the most popular activity of all, says Olga: “Es bailar. Merengue, salsa…”. Olga moved to New York in 1974. She first lived in Corona, Queens and moved to Astoria seven years ago. She started working for RAICES as a volunteer at their Corona center. “I really enjoyed it, and learned so much. The first position that came up –I got the job. From there I’ve carried on learning, learning. 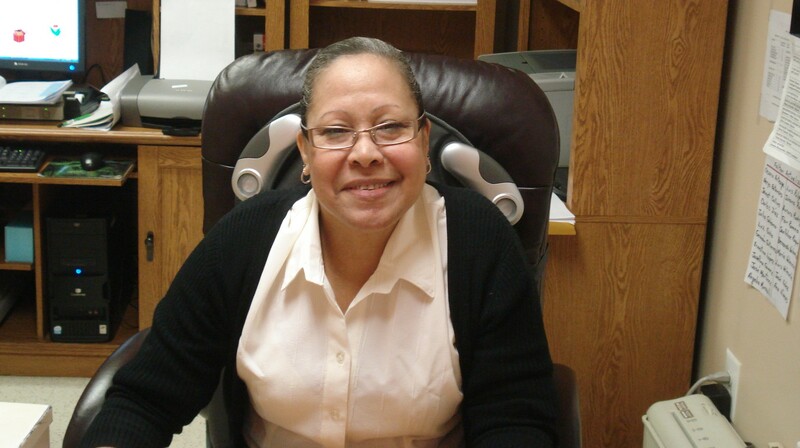 I feel good when I’m helping people.” She worked a year at one of RAICES four centers in Brooklyn and started working at the Astoria center in 1999. She loves Astoria for its “tranquilidad”. Many of the new participants find out about the council through word of mouth from existing ones. They are also referred after making 311 calls. Once they have found it, a lot of them attend every day. When her husband died two and a half years ago Teofila started coming to the council, which happens to be on the same block as her apartment. “Yo me quedé sola. Realmente es lo mejor que me ha podido pasar.” “I found myself alone. This is really is the best thing that could have happened. One day last week no trains were running from 30th Ave station in the morning so commuters had to find alternative routes to work. I wove my way walking down through Astoria to Queensboro Bridge and over the bridge to Manhattan where I got on the subway. 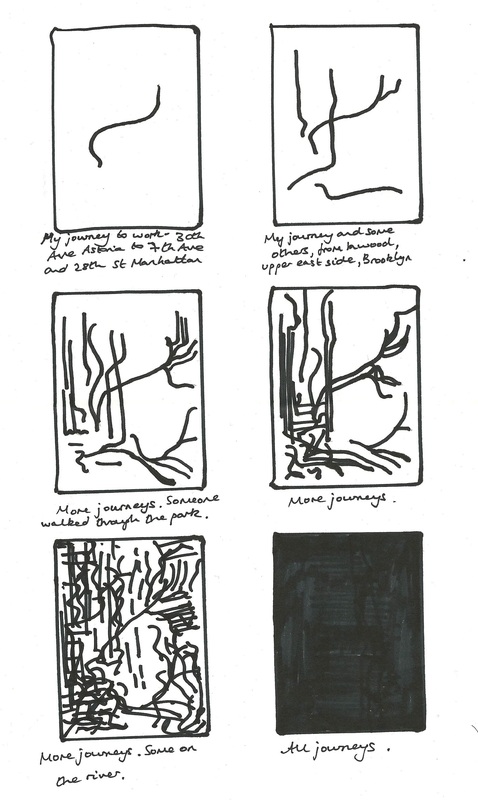 It got me thinking about the journeys people make across the city each day. We barely pay them attention until something disrupts the routine. Later that week I saw an aerial shot of a football game. The camera looked down on the players from way up above the field. Football, which had never struck me as beautiful before, suddenly looked beautiful. Football aside though, I wondered what an aerial view of people’s journeys across the city would look like. Those journeys range from the simple line of a work commute to the intricate paths of bicycle couriers (especially those who make their work a sport), to the meandering lines of a lazy weekend or of extreme urban exploration. There’s probably not an inch of the city that hasn’t at some point been under a human foot. An illustration of the journeys could look something like this. If I was a real artist the last, apparently black image, would have been created by layering thin pen line across thin pen line until the whole thing was filled in. I don’t have the time or patience for that – maybe one day. But say it had been created like that. The black of that last image could be seen as oppressive crowding, or as the strong material of millions of woven paths.